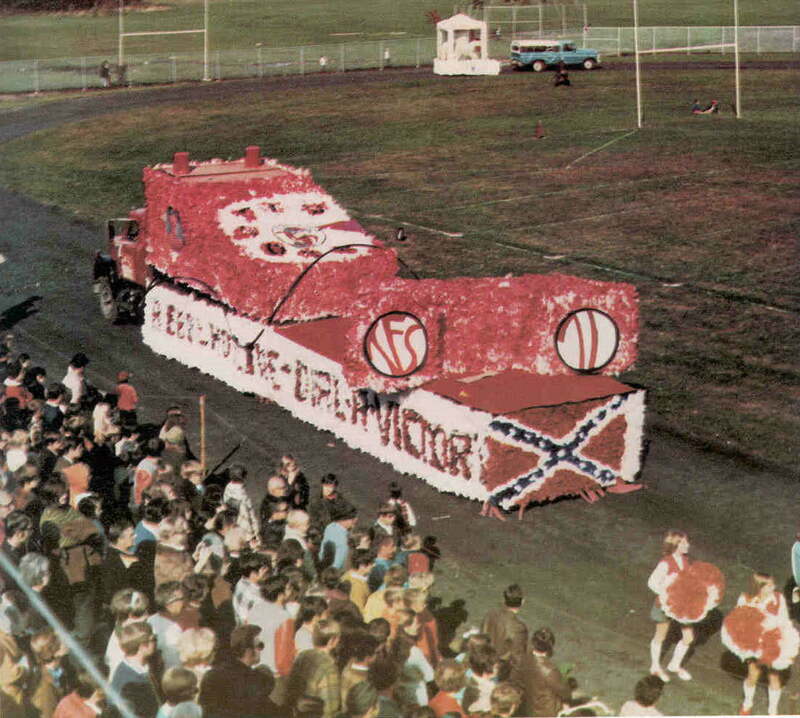 ABOVE: The spirited Class of '71 achieved another victory when they took first place awards for their Homecoming float for the third consecutive time. 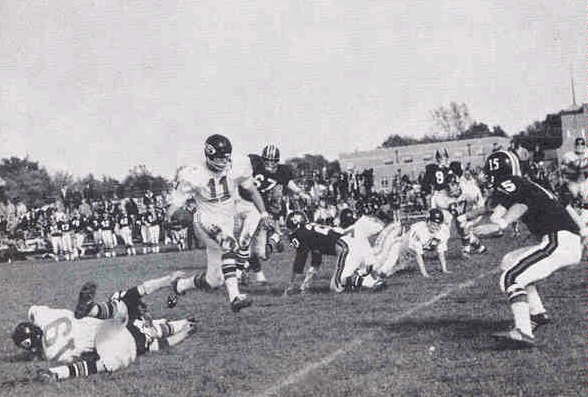 LEFT: Tim Koselke rips past Stagg Chargers on his way toward another South touchdown. After many long weeks of anticipation and preparation, Homecoming 1970 -- "Love Makes the World Go Round" -- greeted the TF South Rebels. Friday night saw the crowning of Queen Donna Traver and King Terry Hektoen. Loyal Rebels watched their favorite floats during the Saturday morning parade. Excitement mounted during the half-time show as the Queen and her court were presented, along with the Rebel Marching Band. First place float award went to the seniors for their "Rebel Hotline -- Dial-A-Victory." All three football squads smashed the Stagg Chargers, with the varsity winning 13-7. The weekend was climaxed by the Homecoming dance, "A Time for us."